Biologists, climatologists, geologists, and a host of other scientists have developed a dizzying array of tools and markers for unraveling the mysteries of what Earth was like in its early development. One such mechanism in which all of these communities come together is dendrochronology – or counting tree rings. Such a simple marker acts as a witness to history, lending insight for myriad disciplines. Similarly, in the Solar System, NASA scientists operating the Mars rover Curiosity from the Mars Science Laboratory mission are attempting to gain insights from a different subtle marker, substituting the element xenon for tree rings. Scientists can learn a lot about the current Martian atmosphere from Earth, measuring the signature wavelengths of light leaving the red planet and matching them to those of the elements they represent. Yet, such measurements leave a number of questions unanswered about the planet’s more distant past. What scientists needed was a witness to Mars’ history, an equivalent of the tree rings used so precisely by scientists here on Earth. Xenon is an ideal candidate. As a noble gas, xenon is inert and thus does not interact with other chemical elements either in the atmosphere or on the surface. Like other gases, however, xenon exists in a range of isotopes. Elements with the same number of protons but differing numbers of neutrons, which exhibit the same chemical properties but not the same atomic mass, are isotopes of the same element. Because of these varying weights, different isotopes of the same element may be swept away at different stages in history or by different forces, not unlike the way a glacier’s strength can be measured in the ensuing deposit of boulders, rocks and pebbles. Xenon can be found in nine isotopic states, and its inert nature ensures that few other processes contribute to changes in the distribution of isotopes present. Thus, like ancient trees, xenon lingers through time, leaving hints of changes in the composition of Mars’ atmosphere. Xenon, however, is so scarce in the Martian atmosphere that it cannot be measured from Earth like more prominent gases. 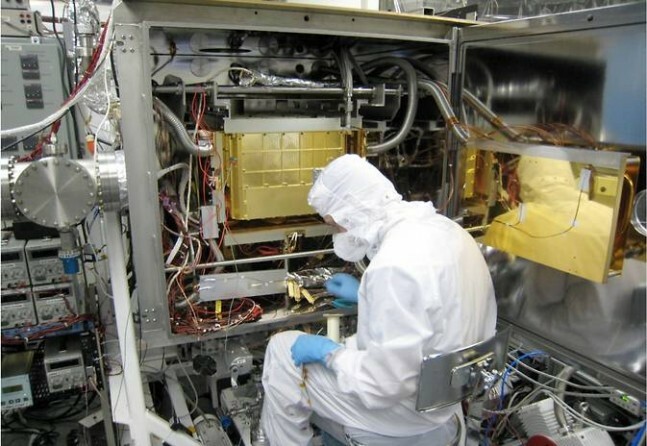 NASA’s Curiosity rover is therefore turning its Sample Analysis at Mars (SAM) instrument to gather a detailed description of the element’s isotopic frequency. 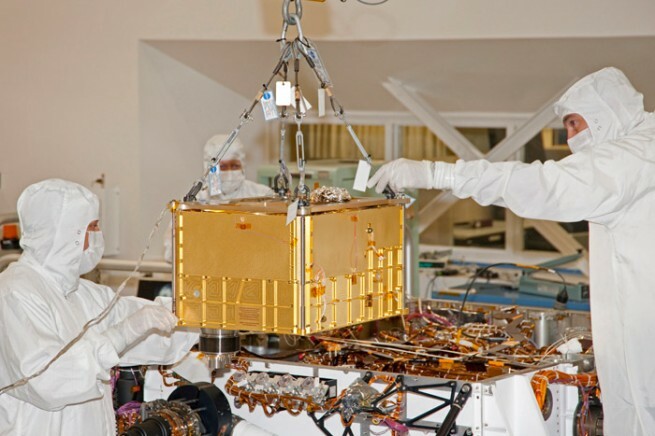 So far, measurements indicate that during some of the earliest periods of the Martian atmosphere, a robust process was pulling even the heavier xenon isotopes from the planet. This conclusion is in line with data gleaned from bits of atmosphere trapped in Martian asteroids found on Earth, according to SAM Deputy Principal Pan Conrad. Furthermore, while SAM is at work analyzing the Martian atmosphere, Curiosity has continued on with its other investigations, including taking some stunning pictures of the planet’s surface using the Mast Camera (Mastcam) operated by Malin Space Science Systems in San Diego. The veins seen in such composite images of Mars’ rocks are typical of formations created by the movement of liquid through fissures, depositing minerals in their wake. Just as with xenon in the atmosphere, such small markers may point towards answering the biggest question of all – could life ever have survived on Mars?